As VP of Operations, Jon-Jacques is responsible for both internal and external operations and delivery at Jetstream. 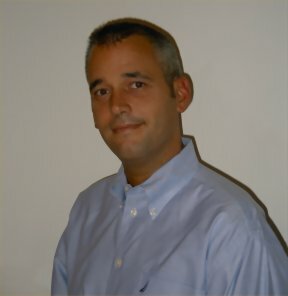 Previously Jon-Jacques headed the the Marketing and Sales operations at Jetstream. Prior to Jetstream Umphrey served for six years as the Director of Marketing for SolutionsIQ where he was the senior executive responsible for all corporate and divisional marketing. While there, he also served as Software Products Manager for SolutionsIQ's Software Products Division where he was responsible for a line of middleware products. Umphrey has led software development organizations on a nationwide basis and has extensive experience in ERP, CRM, BI and Web applications. Prior to SolutionsIQ he was responsible for founding and managing Reynolds and Reynolds Application Development Practice which provided Reynolds'™ ERP system customers with tailored applications, best practice based consulting and training offerings. He was also instrumental in bringing to market Reynolds'™ first CRM product, Prior roles at Reynolds included significant involvement with Dealernet, MS Carpoint and AutoNation. His experience also includes a stint at San Francisco based Foote Cone and Belding where he worked on the Levi Strauss and California Raisins accounts. Jon-Jacques has presented at a variety of national, vertical, and regional industry events - including tradeshows and user groups including Openworld, IOUGA, DECUS and others. Umphrey is a graduate of the University of San Francisco with a M.B.A. in Marketing and also holds a B.A. from the University of Colorado, Boulder.